← Can I Sell a Car That Has Been Submerged in Water? If you want to sell your car, but cannot locate the title for it, you are just like thousands of other vehicle owners. There is no need to be concerned since replacing lost or stolen car title is not difficult. 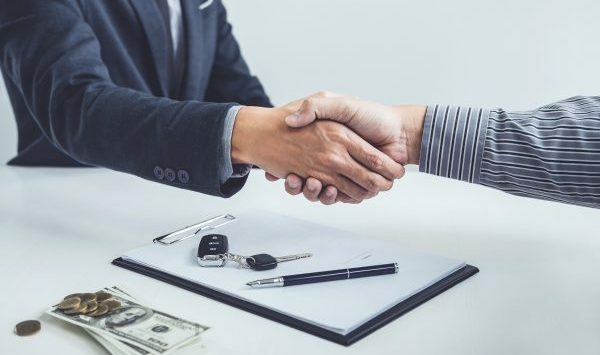 Continue reading to learn what you need to do in order to apply for a new title, including where to get a great payout for your car! When car titles are lost, stolen, mutilated, destroyed, or become illegible, they need to be replaced. If your car title fits any of these descriptions, you can apply for a duplicate through the Indiana Department of Motor Vehicles. Use the branch that is local to you for added convenience since you will need to apply for a new title in person. Visit the BMV Duplicate Title Application webpage for specific instructions on replacing a lost car title. Keep in mind that would will have to pay a fee, either with credit card, check, cashier’s’ check, or money order. When making your payment, you will be required to show legal identification. Your I.D. can be one of many, as long as it is not expired, including a drivers’ licensed, passport, passport card, military license, student identification card, bank card, probation card, or a work identification card. Once you receive your new title in the mail, it will read “DUPLICATE” on the front. If you ever find the original title, it will be void, so be sure to destroy it immediately. You can shred it or burn it, but do not throw it away. Call 317-450-3721 to sell a junk car in Indianapolis, Indiana for cash on the spot. We will buy your junk vehicle regardless of its condition, and pay you the fairest return in town! For more than 75 years, our company has been a trusted source for junk car selling, so you can trust us too! Call 317-450-3721 to request a free estimate for Indianapolis cash for cars, today. This entry was posted in Cash for Cars and tagged BMV Duplicate Title Application, Certificate of Authority, duplicate car title, replace lost car title, replace stolen car title, sell a junk car without a title. Bookmark the permalink.